Moto G5 Plus to be available in India on March 15. Two Motorola Moto devices were launched yesterday at MWC in Barcelona, and they sure look promising. The Moto G5 has a pretty decent 13 MP f/2.0 primary camera and is powered by Snapdragon 430. It also has a bigger sibling named Moto G5 Plus which is a 5.2” screen device with the power-efficient Snapdragon 625 and a 12 MP dual-pixel camera that records 4K video. India is one of the first countries to feel the Moto experience with a launch date for the Moto G5 Plus on March 15. 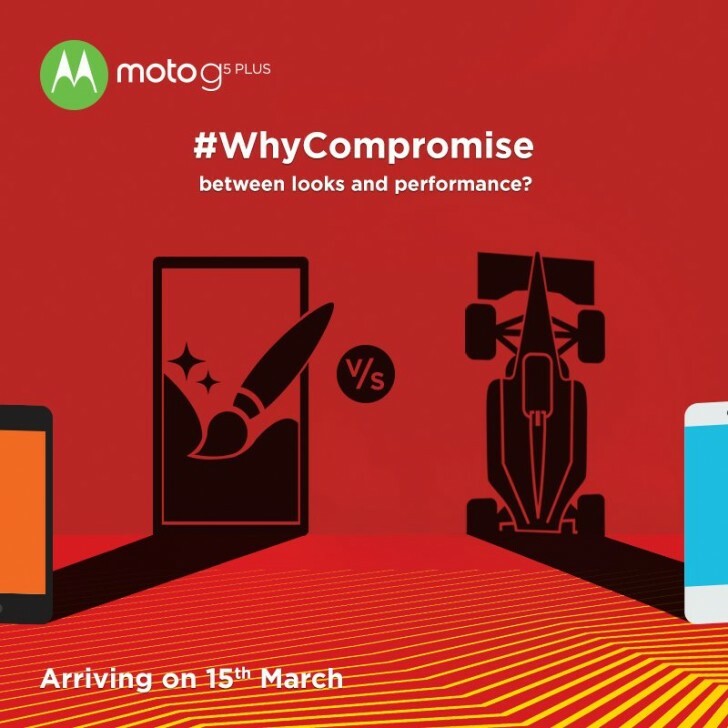 Moto India, the official Twitter account of Motorola in the Asian country twitted that you don’t have to compromise between design and processor “when you can get both.” The tweet says Moto G5 Plus will arrive in India on March 15. The post does not reveal what RAM+internal storage combo will be available. According to Lenovo, the Moto G5 Plus starts at $229 for the 2 GB + 32 GB and goes up to $295 for the 3GB + 32 GB.